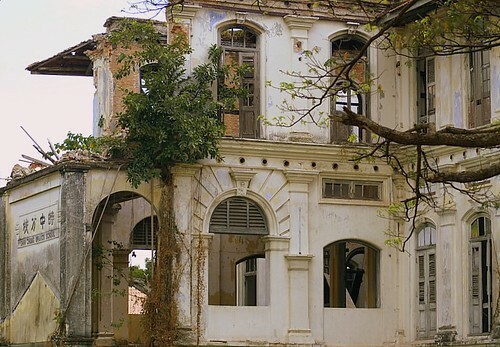 A very grand but neglected bungalow which I think is the Shih Chung Chinese school. Do you know that our City Council actually approved the building of a columbarium (A niche for a funeral urn containing the ashes of the cremated dead) around there? I think the plans have been shelved after the citizens protested. If only walls can speak….I am sure there must be lots of grand histories to tell. This is part of the ruins along Church Street, if I remember correctly. I usually go around snapping photos of ruins. If you look closely, some of these buildings were magnificent structures once. This is probably part of the perimeter of a big bungalow. Another broken wall I found while I was waiting in the car along Jalan Pintal Tali. I notice that, buildings of that era used a very attractive blue colour like the one in Cheong Fatt Tze mansion (yet to visit). 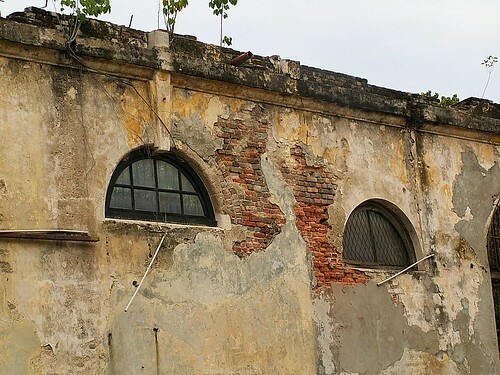 I hope our Malaysian Government is serious in their effort to restore heritage buildings. Many of them had been torn down to make way for development and unless, they walk the talk, we will left with no heritage one day. Really sad. Hope that the school doesn’t get torn down. 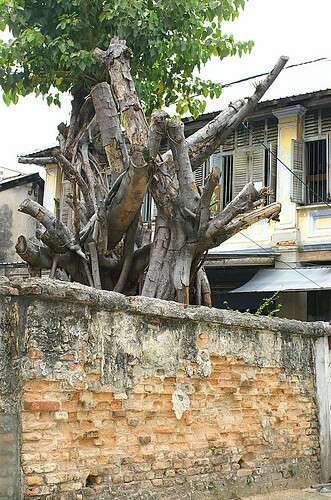 Hey, at least in Penang they get preserved for heritage purposes. In KL, everything old gets torn down for commercial purposes. So sad! 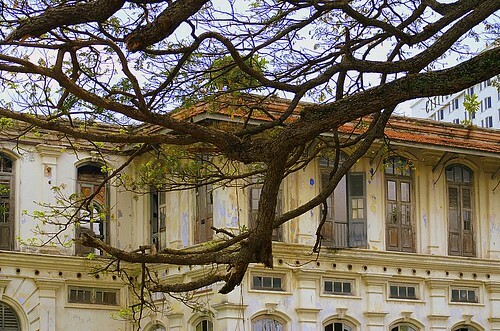 grand old buildings, they should be restored & heritage listed..i think they do that a lot in singapore yes? What a shame. What a waste. Maybe someone should take over the property and rebuild the damaged portions. Why in the first place they approved the columbrium? And this is the same authority who wanna get Penang listed as World Heritage Site. I think they got their priority and intention mixed up.